The job of your REALTOR® is to support you in finding the right home with the best possible terms, and to aid you through the entire process. Your REALTOR® will explain the process of buying a home, and familiarize you with the various activities, documents and procedures that you will experience throughout the transaction. Based on criteria that you and your REALTOR® establish together, your REALTOR® will help you find the perfect home. There are many factors to consider in selecting a property, including location, number of bedrooms and bathrooms, schools and amenities. Your REALTOR® will apply their extensive community knowledge and professional resources to research available properties, and show you the homes that best meet your needs. If you find a property that interests you through the Internet or your own research, let your REALTOR® know so that a showing can be arranged. As you view different properties, your criteria may change. 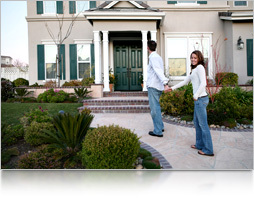 Open and direct communication with your REALTOR® is a key element of a successful property search. Once you have found the home that you wish to purchase, your REALTOR® will apply their professional training and do all the necessary research to help you structure an effective offer. This is where your REALTORS®' negotiation skills come into play. 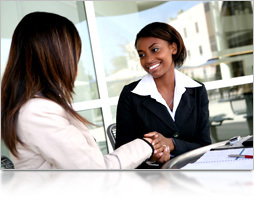 When an offer is made, the seller will have the option of accepting, rejecting or counter-offering. Your REALTOR® will negotiate the best possible terms for you. Your REALTOR® will draft the purchase agreement, advising you of protective contingencies, customary practices, and local regulations. Home warranty, title and escrow arrangements will be detailed in the offer. Although your REALTOR® will give you advice and information, it is your decision as to the exact price and terms that you wish to offer. When the purchase agreement is accepted and signed by all parties, your REALTOR® will open escrow for you and your earnest money will be deposited. The escrow is a neutral third party that will receive, hold and distribute all funds associated with your transaction. Your REALTOR® is a valuable source of helpful tips for planning and coordinating your move.